Continuing the form set by Ginga S, Ultraman X consists largely of Monster of the Week-driven plotlines with few episodes dedicated to story advancement. Add on the fact that X utilizes two gimmicks (three if you count X's interchangeable armor), and you wind up with a series that has virtually no meat but a large amount of filler. Ultraman X follows the same general template as the Heisei series before it with a defense team consisting of poorly-developed characters portrayed with heavy over-acting. However, there are a couple of plot lines among the team members that are teased throughout the show but never visited. Spark dolls also make a return (usually to power up or assist a remarkably weak Ultraman X), but this universe is shown to be separate from Ginga's, muddying up any explanations as to why they appear in this series. Add on a second gimmick in the form of cards, and arguably a third, merchandise-driven gimmick in the form of X's "armor", and the entire series becomes about as empty as the interstellar space X traveled through to get here. One final note for users on Crunchyroll's mobile platform: The subtitle timing is way off at least once in every episode. In some scenes a line would appear briefly, but in the worst case it never appeared at all. As a long time fan who grew up on Ultraman, X is disappointing. Like Ginga and Ginga, X's effects are not amazing or great or good, cheaper, and rely too much on computer-generated effects compared to what Early Heisei Series(Tiga to Mebius and Zero) were. The Camera movement is Shaky as Hell and Kiyotaka Taguchi is the worst director. And like the Ginga series the story and moral lessons are not good. The Ginga Series and X are both the lowest on the ladder of Ultra Series quality, with Daikaiju (Ultra Galaxy Mega Monster Battle) being second worst. A great introduction to the Ultra franchise! This was the second Ultraman show I watched any episodes of (after Leo) and the first one I finished all the way through--and it's great fun, has enough continuity to tease the wider franchise without alienating new viewers, and has some really cool concepts and a good heart to it. If you're unsure on the whole Ultraman/tokusatsu-in-general thing, check this one out (it's true that some of the monster costumes you'll probably find cheesy, mainly because they're classic enemies from entries throughout the series' history). It's a great ride. If I had to pick a favourite episode...probably 20, the Ultraman Nexus episode. As someone who watched the whole series so can I say that it was a pleasant ride with good supporting characters, a cool hero, great monsters, and spectacular battles. And when I say spectacular battles, so do I really mean it. They're well done and always got me excited. And the story is pretty good though and manage to not feel like just a commercial for vinyl figures by Bandai. Are there any negatives with this show? Not in the show itself, but the fact that Tsubaraya didn't let Crunchyroll show the earlier Ultraman shows in the European regions. All in all, a good show that I reccomend to any fan of super heroes. 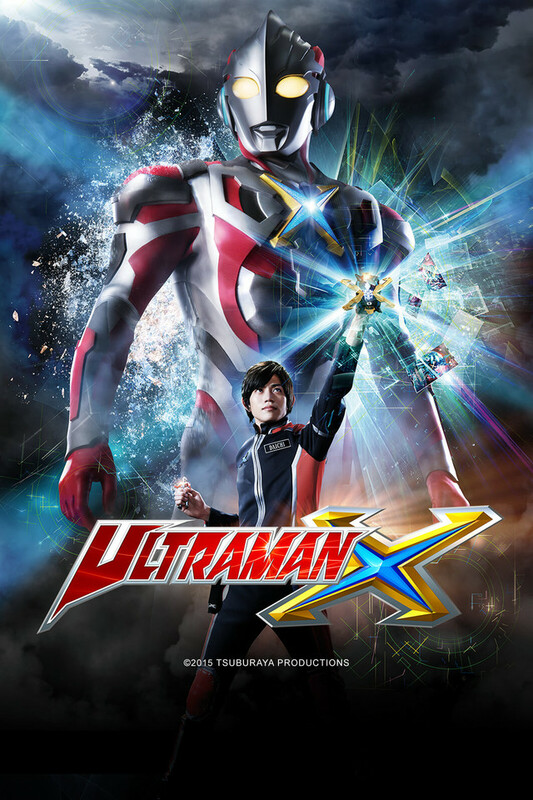 I grew up on Ultraman movies and I've come to love every movies that was made.I really think they could have made ultraman X an 60 min movie.Here's the plus ,they put a lot of work in the suits and fighting scenes and special affects .I think they could have ultraman X put his transformation device on his chest ,than use a toy . This is what I think . I watched several Ultraman series when I was very young (dressed up as an Ultraman for one Halloween years ago), but hadn't seen it in years and couldn't remember much about the original series I saw. Still, when I heard about this latest incarnation on ANN I started to follow it. Me and some friends decided to try it when it came out, just for fun, and have been hooked riffing ala MST300 ever since. It's certainly fun to watch, especially with others, and while most shows that I watch just to riff with friends I end up getting bored with soon enough, the escalation in this series makes each week more entertaining than the last. probably in live action history. The whole plot of the series is basically a solar flair making marketable Kaiju action figures come to life, and using their trading cards to defeat them. I have no complaints. So in short, if you're a fan of Ultraman and/or want some nostalgia, or just want something fun and cheesy to riff and tear into with friends, give this show and the gang at the Xeno Invaders Outcutters (aka XIO) a shot. Just be prepared for a certain pseudo-moe scientist to make you scream "Die! JUST DIE ALREADY!" at the screen repeatedly during a good deal of episodes. Like Ginga before it, X wears its Bandai sponsorship on its sleeve with its rather shameless focus on Spark Dolls (re: Bandai vinyl figures, available at a toy store near you!). Yet despite the overt toy commercial elements, X succeeds (just as Ginga did) in delivering enough exciting action and imaginative story twists to please both younger viewers and fans of classic Kyodai hero shows alike. The newest addition to the Ultra family is an impressive looking alien warrior, with a signature "finishing move" (his leg-sweeping Xanadium Beam) which kids of all ages will be imitating for years to come. Though the characterizations are a bit on the broad side, the young cast is attractive and affable. The monsters are topnotch. In all, a very satisfying modern Ultra outing. Dear Crunchyroll: Thank you so much AGAIN!!! Right from the first episode, anyone can tell that this is going to be special, even the most casual tokusatsu fan. This is a major return to form for the Ultraman franchise and the fact that I don't have to wait for a fansub of it thanks to the continued fruitfulness of the Tsuburaya/Crunchyroll relationship only sweetens the pot. Hell, I've even switched to a Premium subscription on day one just so I can see first-run subtitled episodes, because the thought of waiting one week for a free full-length view only to have a new, crown-marked episode dangling right in front of me is agony. That is how confident I am about this show.